Here is the trailer for the upcoming film “Sweetwater”. The movie is directed by Logan Miller, starring Ed Harris, January Jones, Jason Isaacs, Eduardo Norega and Jason Aldean. In the late 1800’s, a beautiful former prostitute (January Jones: “Mad Men”) is trying to build an honest life with her husband in the rugged plains of New Mexico. When she catches the eye of a sadistic and powerful religious leader (Jason Isaacs: Harry Potter series), her life is violently turned upside down. She embarks on a bloody course of vengeance with the assistance of a renegade sheriff (Ed Harris: Pollock, The Hours, A Beautiful Mind, Apollo 13) who has pretty violent tendencies of his own. 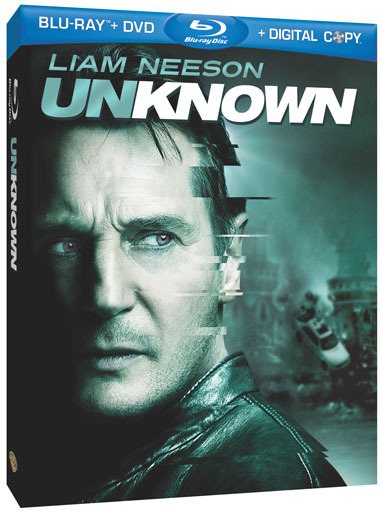 Warner Bros Home Entertainmnet announced the release of UNKNOWN on DVD and Blu-ray June 21, 2011. The film was directed by Jaume Collet-Serra, starring Liam Neeson, Diane Kruger, January Jones, Aidan Quinn, Frank Langella.